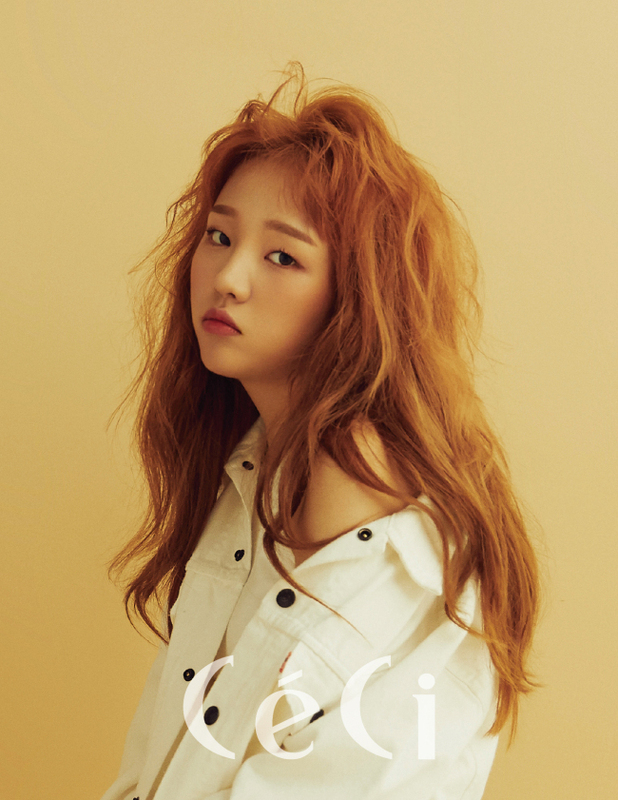 Her songs sing of bittersweet struggles of love, but singer Baek A-yeon showed that she had a child-like side in her recent photo shoot and interview. Baek’s agency JYP Entertainment on Wednesday revealed the photos she took for the July edition of fashion magazine CeCi, one of which had the singer posing in a playful fashion by holding up two popsicles near her head like horns. In the interview that followed, Baek revealed what track he likes the most from her EP “Bittersweet” that was released last month. “If you have anyone around you that you want to get back at, please recommend this song,” she jokingly said.